Available from Glyn High-Tech Distribution , the Yamaichi solar panel connectors allow easy installation, meeting the specific needs of installers of photovoltaic systems. The Y-Sol4 F.A.T. (Free Assembly Type) PV plug connector system enables simple assembly without a crimping tool. PV installations need cables to be routed and solar modules to be connected to each other in the field or on the roof, requiring plug connectors to be mounted on the cables. The installer will obviously want to minimise the number of components that are required for the purpose. Additionally, many connectors will need their own special crimp tool. The Yamaichi Y-Sol4 F.A.T. 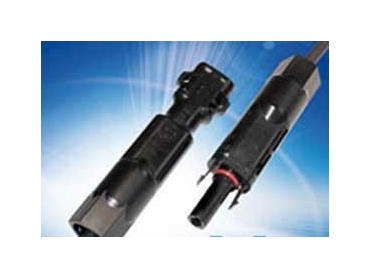 plug connectors are fully compatible with the well-known Y-Sol4 type and are designed for simple, safe and extra quick installation in the field.